It’s that time again! The 19th annual Phoenix Film Festival is coming up on April 4-14th at Harkins Scottsdale 101. And we are giving away a pair of flex passes to the event valued at $40. Winners will be able to find the movie line-up at www.phoenixfilmfestival.com and choose FOUR showings (excluding the Opening and Closing Nights) that they & a guest would like to attend. Ticket will be at will call for pick up. The Phoenix Film Festival, named one of The 25 Coolest Film Festivals by MovieMaker Magazine, is back for its 19thyear! The Festival annually screens over 150 films, holds amazing parties and provides filmmaking seminars. If you are a movie lover, this is an event that is not to be missed! The International Horror and Sci-Fi Film Festival happens in conjunction with the yearly Phoenix Film Festival. Attendees can catch premieres of short and feature horror and sci-fi films from all over the world, along with eclectic programming of older films, special guests and cult classics. Plus, patrons can enjoy all the great parties and entertainment the Phoenix Film Festival is known for. It's the best of all worlds! Tickets and passes will be available in late February at www.PhoenixFilmFestival.com. Tickets may also be purchased in person at the Phoenix Film Festival Ticket Center next to the Harkins Scottsdale 101 Theater starting Monday, April 1st. Tickets range in price from $15 for a single screening to $450 for a platinum pass. 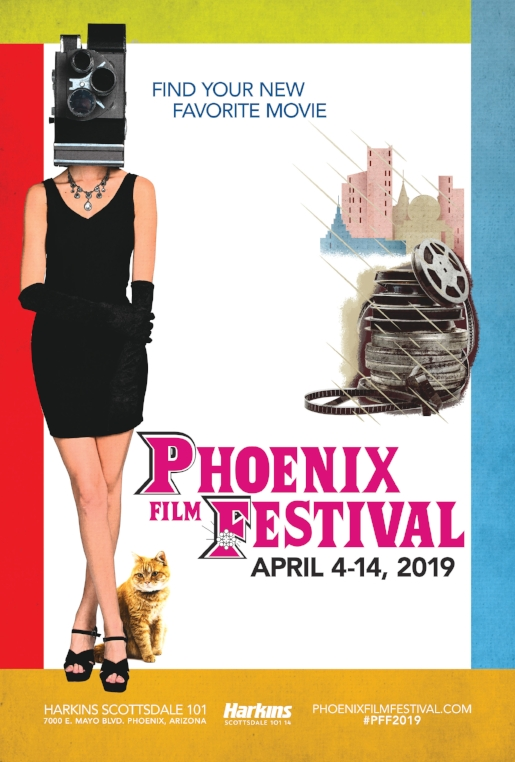 The Phoenix Film Festival is a program under the 501(c)3 non-profit organization Phoenix Film Foundation, and is a sibling of the Phoenix Film Society, the International Horror and Sci-Fi Film Festival, IFP/Phoenix, the Arizona Student Film Festival and the Phoenix Critics Circle. The Festival’s mission is to support and develop the artistic appreciation, educational opportunities and growth of independent film within Arizona. The Foundation's primary functions through its programs are to promote the exhibition of independent films and conduct educational programs that teach the art of filmmaking.